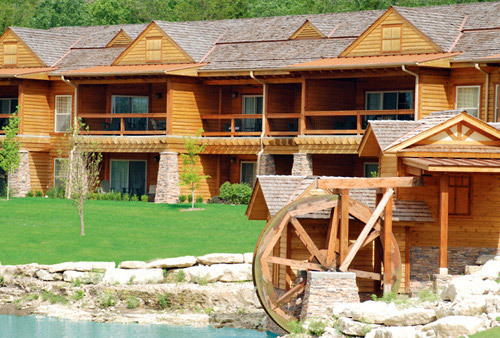 Featuring one, two, and three bedroom luxury lodge units with kitchens and in-bath whirlpool spas, Lodges at Timber Ridge & Splashatorium offer family-friendly accommodations in Branson. 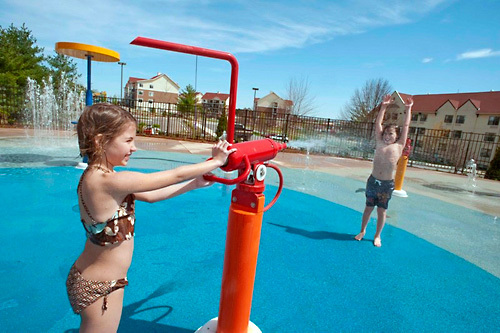 Guests can enjoy the 10,000-square-foot indoor (year round) and outdoor (seasonal) Splash-A-Torium featuring a 100-foot slide, interactive splash zone, and hot spas; free mini golf; Million Dollar Quartet live theater show; free Wi-Fi; a restaurant and lounge; and more. Lodge stays do not include daily cleaning service. 10,000 sq foot indoor/outdoor Splashatorium. Lodges at Timber Ridge, TripAdvisor 2017 Certificate of Excellence, features One, Two, and Three Bedroom Luxury Lodge Units with kitchens & living areas, indoor/outdoor Splash-A-Torium, dining, live theatre, daily planned activities for all age groups, a location just minutes from Silver Dollar City & Hwy 76, and everything else Branson has to offer, including shows, lakes, golf, shopping, and most especially, the friendliness of our people! Daily planned activities year round for all age groups, from wine tasting and painting to pilates, teddy bear stuffers and s'mores. Something for everyone! Welk Resort Theatre is proud to present Shrek: The Musical this Summer June 8 thru Aug 10. This all-new musical production is based on the award-winning Broadway show and movie. The musical will enthrall families with the charming story of the gruff but lovable ogre who sets out on an adventure filled with love and friendship. This Fall is an all-new production of MILLION DOLLAR QUARTET, the Tony Award-winning Broadway musical, inspired by the electrifying true story of the famed recording session where Sam Phillips, the "Father of Rock 'n' Roll" brought together icons Elvis Presley, Johnny Cash, Jerry Lee Lewis and Carl Perkins for one unforgettable night. Performances are in the Fall each year. Tickets for both performances available on Welk website or calling Welk. Clubhouse with fitness and game room. Lodge stays do not include daily housekeeping service, however, if you desire your lodge to be cleaned during your stay we do offer that service arranged at check-in for a fee. One mid-week clean is included for a 7-night stay. 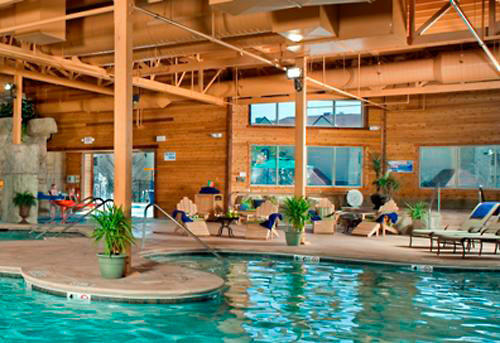 How many adjoining rooms are available at the Lodges at Timber Ridge?There are 28 sets of adjoining rooms available. Do you have a restaurant of café located on-site? The Welk Resort offers the Stage Door Restaurant & Lounge on property. The Stage Door Restaurant is open from 7:30 a.m. to 2 p.m. and 5 p.m. to 8 p.m. from April to December. What is the minimum age required for check-in at the Lodges at Timber Ridge? Guests must be at least 21 to check-in at this resort. 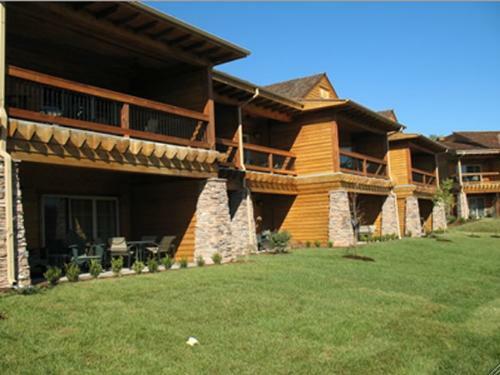 How many lodges are available at Lodges at Timber Ridge? 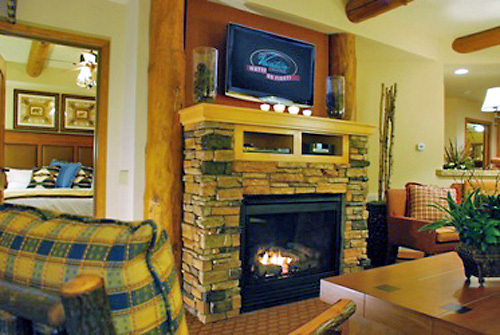 There are 56 lodges units available at the Lodges at Timber Ridge, located at the Welk Resort. The lodge buildings are 2 stories. The lodges are located in 4 different buildings. Do you have cribs available to guests? Cribs are available at no charge. However, they are on a first come, first serve basis. What are you pool/Splashatorium hours?The pool & Splashatorium area is open from 10am-10pm (10am -8pm winter hours). 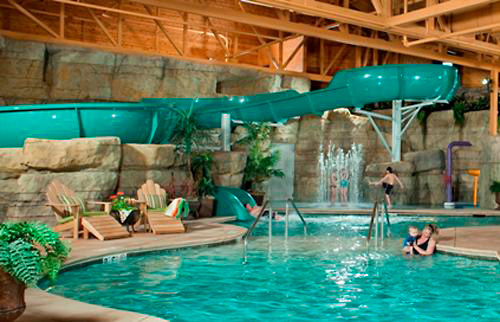 The water slide is open from 11:00 am to 9:00 pm and requires a minimum height of 42”. 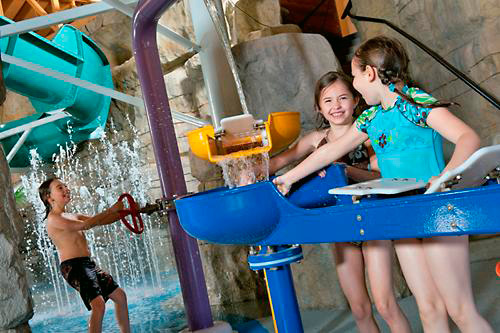 Outdoor Splash Zone is open from 10:00 am to 10:00 pm (weather permitting). How old do my kids need to be to use the Splashatorium? 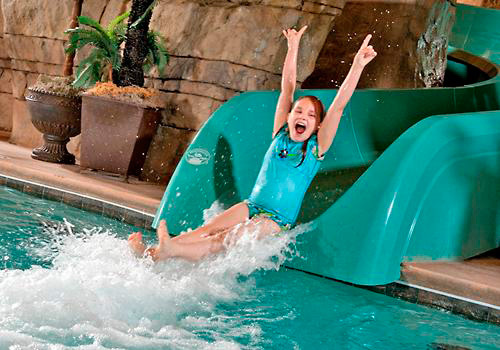 Children of all ages are welcome, but all children 14 years and under must be accompanied by an adult. Yes. 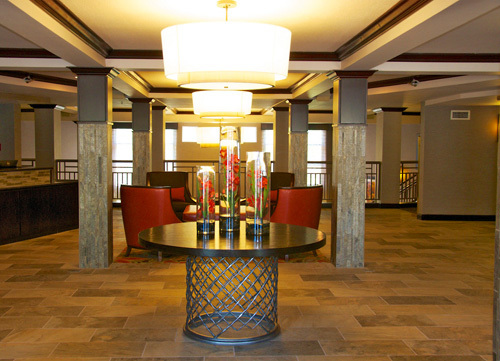 Guests can register 24 hours a day at the front desk. The Welk Resort has ample free parking, including parking for larger vehicles, boats, trailers, RVs and motor homes in designated areas. Will my lodge be cleaned daily? Lodge stays do not include daily cleaning service, however if you desire your lodge to be cleaned during your stay we do offer that service for a fee of $100. One mid-week clean is included for a 7 night stay. We gladly offer towel exchange at any time during your stay.